Check the station or network’s website for a general contact page. Some of these pages will provide a newsroom or employee directory that you can use to contact the reporter either directly or indirectly. You can also look for a story by the reporter you’d like to contact on the station or network website. 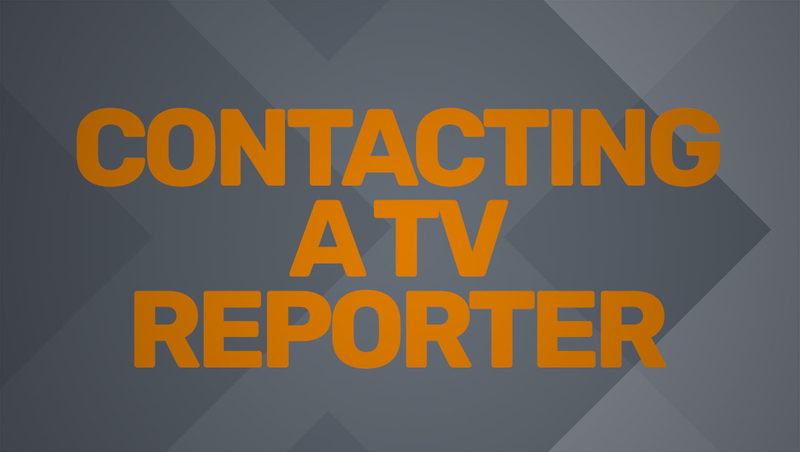 Some TV stations and networks include the reporter’s direct contact information at the end of the story. You may also be able to click the person’s name to find contact information. You can also try reaching out directly to the reporter on social media via their individual account. Keep in mind that most TV reporters receive numerous inquiries every day and may not be able to respond to every one. Also, making threats against a reporter, TV station or other media outlet can be a serious crime. Most media organizations take these threats seriously and any such communications may be reported to law enforcement officials.